← Celebrating 13 Years of Miracles! The truth is things don’t go on just the way they always have. Don’t forget that there was once a Flood, the Tower of Babel, and the most gracious event of all—the birth of Jesus Christ. Think how few people were even aware of it at the time—a handful of shepherds and a few wise men! But that and His death and resurrection are what have changed us and our world forever! 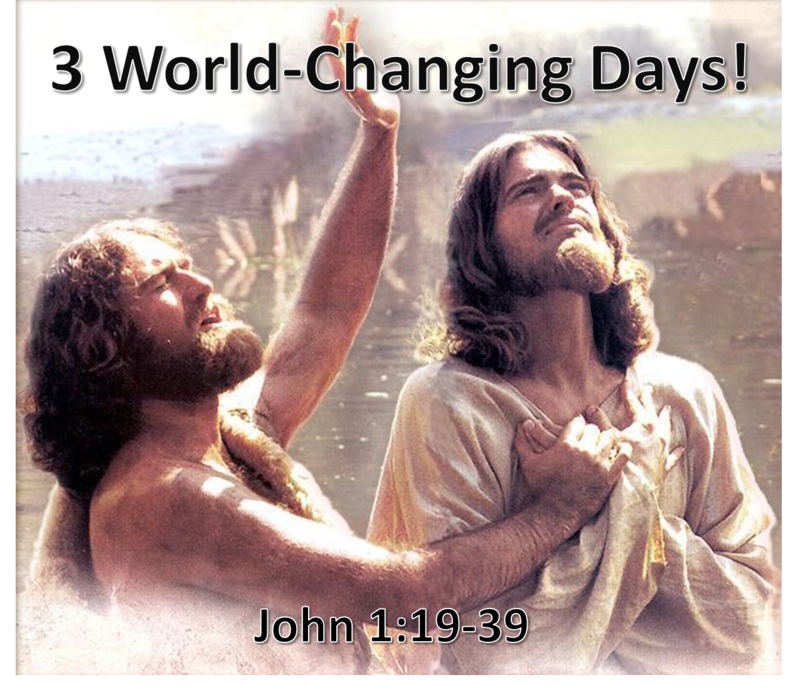 So it is with the 3 days we’re studying here I call them “3 Days that Changed the World.” For in John 1:19, we come to the ministry of John the Baptist which, even though few people realize it, was a spiritual event that changed the world forever. In 3 days’ time, John announced the coming of Jesus, introduced Him to His first disciples, and sparked a disciple-making movement that set the world on fire in the first century and continues on to this very day, two millennia later. Open your Bible, then, to John 1:19 where we witness 3 world-changing days in the ministry of John the Baptist, each one involving a different audience and different challenge impacting us and our friends in 3 different ways as well. The Challenge to the Religious on Day 1—Turn to Him! That again, I’d remind you, is the reason John wrote his Gospel. As he explains in John 20:31, “These are written that you may believe that Jesus is the Christ, the Son of God, and that believing you may have life in His name.” There was one purpose and one purpose only why John wrote this and every other verse in this book—to convince you to believe in Jesus because it’s only by believing the right things about Jesus that you receive the eternal life He offers. So like a great defense attorney, John argues his case calling witness after witness to testify to the Deity of Christ. But the first and greatest witness is John the Baptist. This was a time of great expectation in Israel. People were certain that the long-awaited Messiah was about to appear. 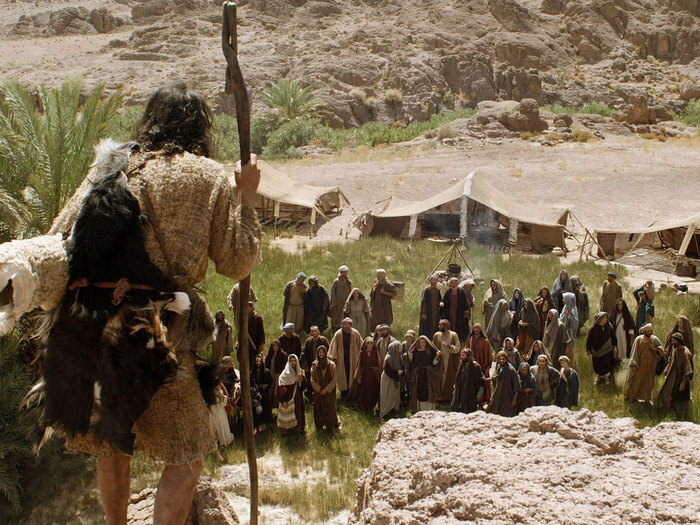 So when John suddenly appeared in the wilderness preaching a baptism of repentance for the forgiveness of sins, Mark 1:5 says, “All the country of Judea and all Jerusalem were going out to him and being baptized by him in the Jordan River, confessing their sins.” The popularity of John can’t be overstated. He was the spiritual superstar of his day! It had been 400 years since a prophet had arisen in Israel. But now God was speaking to His people again, and it was only natural for them to be drawn to him and for the religious authorities to check him out. After all, that was their job—to protect their people from the false messiahs who were arising and leading them astray. So verse 19 continues, “The Jews sent priests and Levites from Jerusalem to ask him, ‘Are you the Christ?’” Don’t take this wrong. When John uses the word “Jew,” it isn’t a racist remark. John himself is a Jew. What he’s referring to when he uses the word, and he does so over 70 times in this book, are the religious authorities from Judea who hated Jesus. In fact, that’s the best way of translating the word (Judeans instead of Jews) for that’s who John is describing—representatives of the religious establishment in Jerusalem who were ruthless in their efforts to protect the people from false teachers, so ruthless that they killed their true Messiah. That leads me to say, while I’m on the subject of religion, be very careful that you aren’t more loyal to a religious organization than you are to Jesus, for even though their purpose may have been good in the beginning, the tendency of every organization over time is self-preservation above everything else. That was true of these authorities. What they cred about more than anything else was keeping intact their precious religious system and crucifying the Prince of Glory in the process. So they asked him, “Are you the Christ?” To which John gives them a very strong denial in the Greek language: “No, I am not!” “Then are you Elijah?” They ask him because according to Malachi 4:5, God said Elijah would return before the great and dreadful day of the Lord. And they were right! Elijah will return, but that is before the second coming of Christ, not His first coming. Instead, what the angel of God said about John at his birth is that he would go before the Lord “in the spirit and power of Elijah.” But he wouldn’t be a reincarnated Elijah. But still they press him, “Are you the Prophet, then?” referring to the great prophet Moses said would arise among God’s people one day. But John denies that as well. Then who are you, John? Don’t you love his humility! Notice he doesn’t even refer to himself as a person. He says, “I’m just a voice of one crying in the wilderness, ‘Make straight the way of the Lord,’ as Isaiah the prophet said.” In fact he says in verse 27 that compared to Jesus, the One who comes after him, he isn’t even worthy to untie His sandal straps! In other words, “I’m not even qualified to be His servant!” That’s especially humble when you remember who John was. It was only natural for the Jews to ask him about baptism because the Jews didn’t practice baptism. 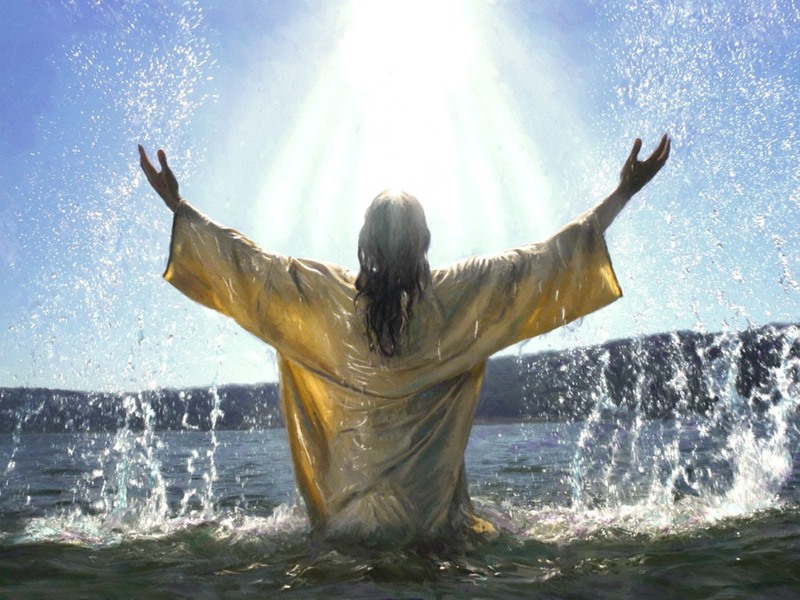 Baptism was reserved for Gentiles who were converting to the Jewish faith. They immersed themselves in water as a sign that they were turning from pagan ways to the worship of the One True God. But here it is Jews, not Gentiles, John is baptizing, saying in effect, “Your Jewishness isn’t going to help you one iota when you stand before God. The only thing that will matter is if you’re pursuing righteousness without which no one will see the Lord. So they not only came to hear him preach, but to be baptized as a sign that they were turning from their sins to the Christ. That was John’s challenge to the religious on day 1. Repent of your religion and put your faith in Jesus Christ. The Challenge to the Repentant on Day 2—Worship Him! Furthermore, he says, that’s the way God revealed to me who the Messiah is because before that, I didn’t know that Jesus was the Messiah. That’s odd, you say. I thought their mothers, Elizabeth and Mary, were cousins. Didn’t they tell their boys about each other? I’m sure they did. 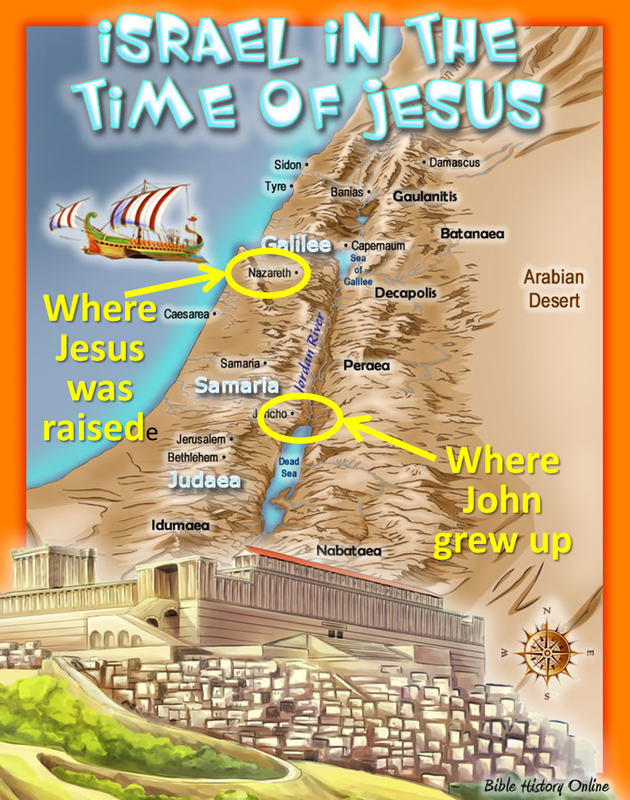 But remember John and Jesus grew up in different places. John grew up in southern Israel in the wilderness of Judea, whereas Jesus was raised in the northern part of Israel called Galilee, in a little town called Nazareth. So the chances that they played together as children are virtually zero. That doesn’t mean they didn’t know who each other was. The word “know” in this passage means “to recognize.” John probably knew who Jesus was when He came to be baptized by him, but he hadn’t yet recognized Jesus as the Messiah. But you say, wouldn’t his mother Elizabeth have told him about the virgin birth of Jesus in the little town of Bethlehem, just as the prophets predicted? And I’m sure she did. But John’s parents have died by this time, and it’s been 18 years since anyone has heard from Jesus. At age 12 He traveled down to Jerusalem to celebrate the Passover with His family. And there He amazed the scholars with His understanding of the Scriptures. 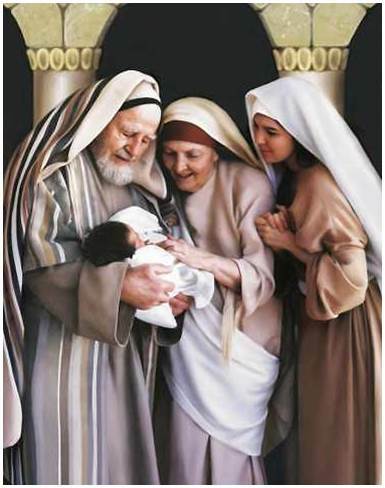 But since then, He’s lived in obscurity in Nazareth, working in the carpentry shop and providing for His mother and younger half-brothers and sisters after Joseph his stepfather died. For 18 years, He has learned how to deal with the daily stresses, tiredness, and monotony of earning a living. But since then no one has heard a word from Him. So God gave John a sign. 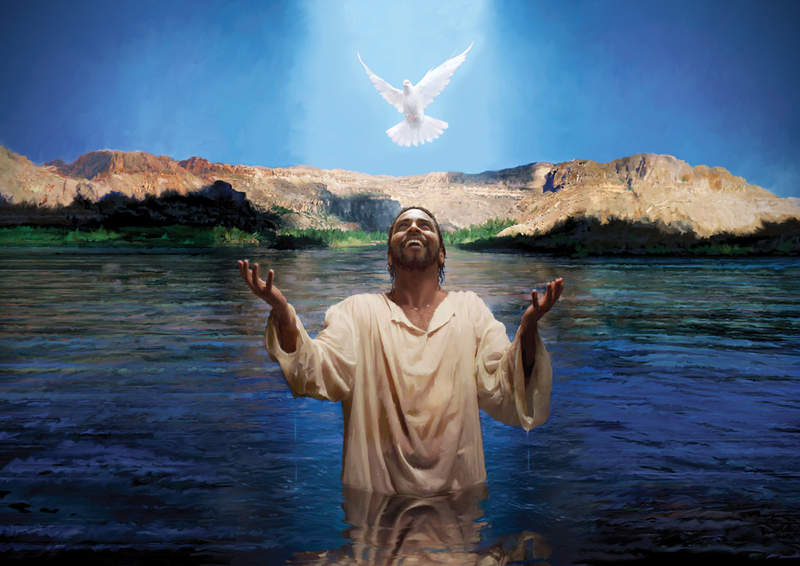 He says, “I myself did not know him, but He who sent me to baptize with water said to me, ‘He on whom you see the Spirit descend and remain, this is he who baptizes with the Holy Spirit.’” Two things to understand here. 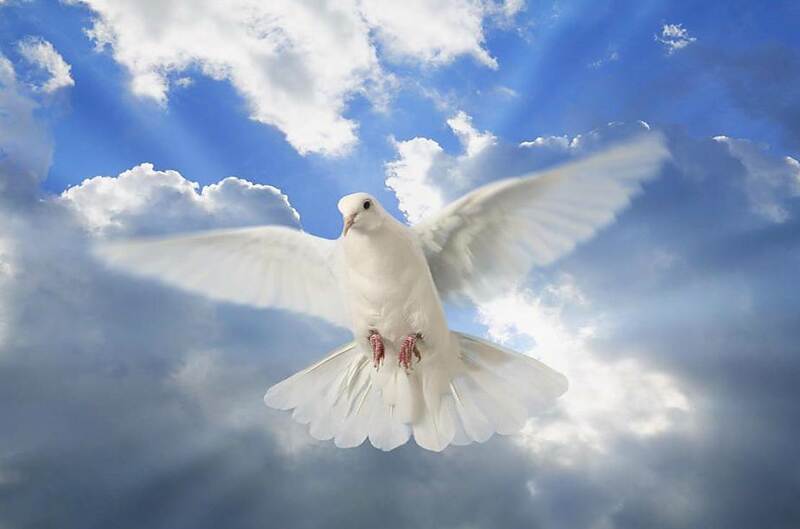 First, the Holy Spirit is not a dove. I have no problem with people wearing the sign of a dove. I think that’s a beautiful symbol of God’s grace. But that isn’t what John saw. 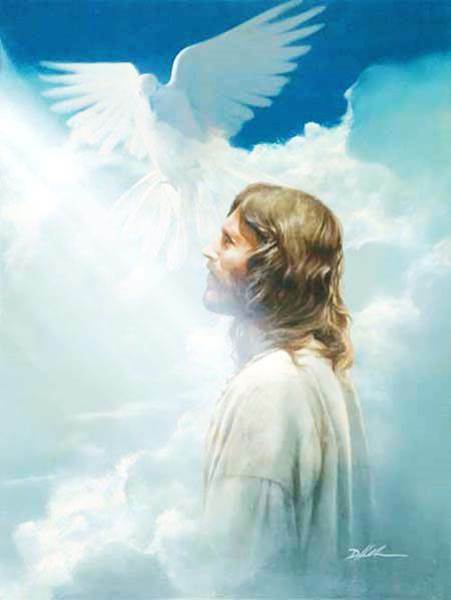 John didn’t see a dove coming down from heaven, because the Holy Spirit doesn’t look like a dove. What he saw was the Shekinah glory of Jesus that we talked about when we studied John 1:14, “And we beheld His glory, the glory as of the only begotten of the Father, full of grace and truth.” It isn’t what the Spirit looked which John describes in this verse; it’s the manner in which He came to rest on Jesus. He came to rest on Him in the same graceful way that a bird might land on someone’s shoulder. But his most important statements are in verses 29 and 34 where he gives two titles to Jesus. John didn’t care for titles when it came to his own ministry. But when it came to Jesus, it was imperative that he get it right, for this wasn’t a mere man he was introducing. “This is the Lamb of God who takes away the sin of the world.” That’s a term the people would have immediately understood, for they’d all raised lambs. They also knew the story of Abraham who was about to offer his son Isaac on the altar when Jehovah-Jireh (“God will provide”) stayed his hand and opened his eyes to a ram in the thicket, which he offered in place of his son. 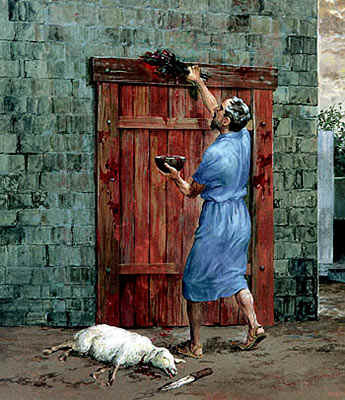 They also knew about Passover and how the angel of death passed over their homes in Egypt when he saw the blood of the lamb on their doorposts. But to call Messiah a lamb was shocking. A King? Yes! Our Great High Priest? Certainly! The mightiest of all the prophets? Of course! But a lamb! That’s disgusting! A lamb was a stupid and helpless creature offered once a year in the Temple. And that was enough. We don’t need another lamb! But what they failed to realize is that the blood of the lamb they offered never removed their sin. It merely covered it for a while until the Lamb of God appeared and took away their sin forever. For they were a self-righteous people who failed to realize how sinful they were. After all, we’re so much holier than all these pagans living around us. Why do we need a lamb or savior? What we want is a king! That was the purpose of John’s ministry from start to finish. He came to to do what? In Isaiah 40:3 he says, “I am the voice of one crying in the wilderness, ‘Prepare the way of the LORD.” In Matthew 3:3 he adds, “Prepare the way of the Lord.” In Mark 1:3 it is, “Prepare the way of the Lord.” And again in Luke 3:4 he says, “Prepare the way of the Lord.” There was never a doubt in John’s mind as to who he was sent to introduce. He was paving the way for the Lord Himself. So His call to the religious and the repentant on Days 1 was very simple: Turn to Him and worship Him, for this is the Lamb and Son of God. In every generation, God sets apart a righteous remnant for Himself who are faithful to Him not because of their good intentions, but because of His grace at work in their hearts. And rarely are they obvious choices. 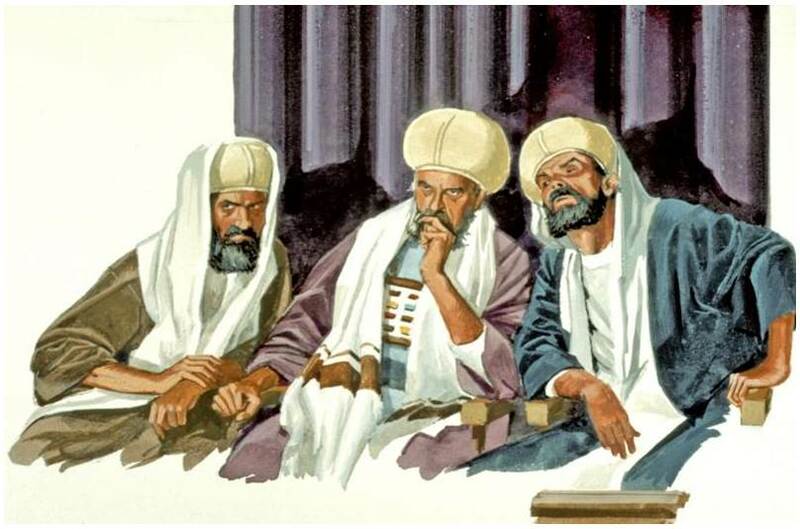 Case in point: The first disciples of Jesus who had nothing to recommend them except they were first John’s disciples. Next week we’ll get to know them by name. But tonight I want to take just a moment to meet two of them before we finish. 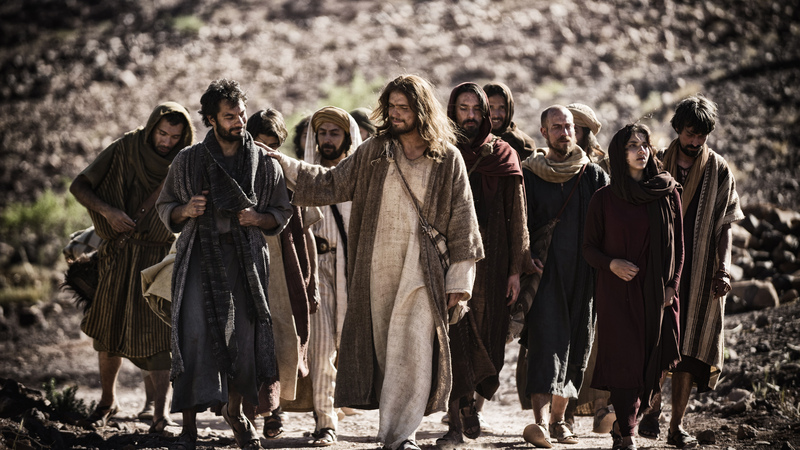 Remember these were John’s disciples—the very best men he had—and he knows that once he introduces them to Jesus, he’s going to lose them as his own disciples. But he doesn’t hesitate for a minute for again, John has no personal ambition or desire to develop a following. His only mission and desire is to point people to Jesus. The tenth hour means it was 4 o’clock in the afternoon and already too dark on that winter’s day to walk home. So what do they do? They spend the night with Jesus talking to Him and asking Him questions. Wouldn’t you? If you could spend a night with Jesus, would you worry about missing a little sleep? We’ll also look at several other wonderful things next week. Notice, for example, that they call him “Rabbi,” a term of great respect in that culture saying in effect: “We’re ready to become your followers now.” Verse 40 tells us who the first one to make that decision was. It was Andrew, and what did he do as soon as he got home that morning? He found his brother Peter and brought him to Jesus too. 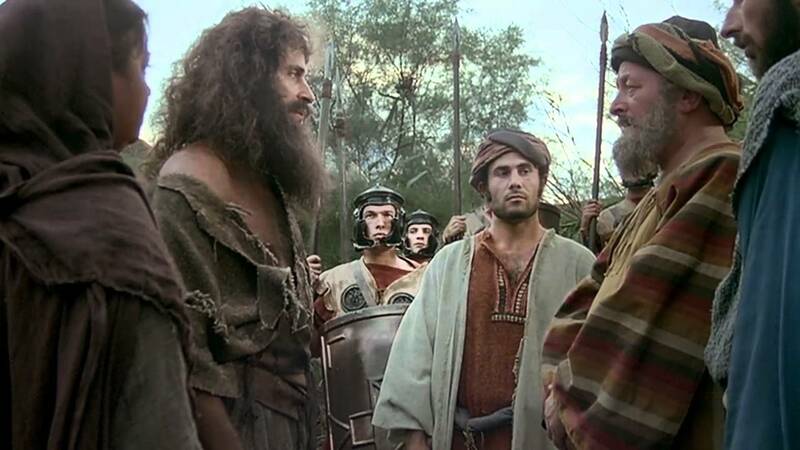 We can also read between the lines and tell who the second disciple must have been. It was John, the writer of this Gospel, who has a habit of omitting his name. But he gives away his identity by telling us the exact day and hour when he met Jesus. That’s something he never could or would forget. But the most important thought to leave with you is this: John’s testimony worked. Because he made his ministry about Jesus and not himself, our Lord was welcomed with great fanfare by the people of Israel. 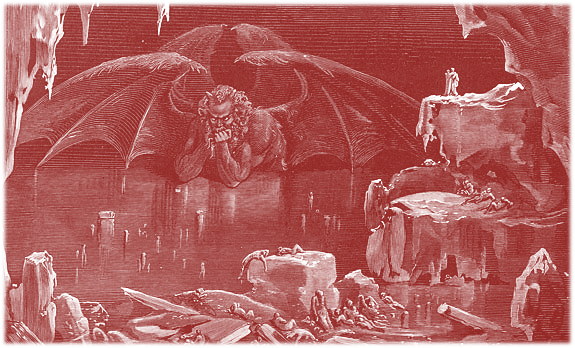 It didn’t last long, for the heart of even the best man is deceitful above all things and desperately wicked. 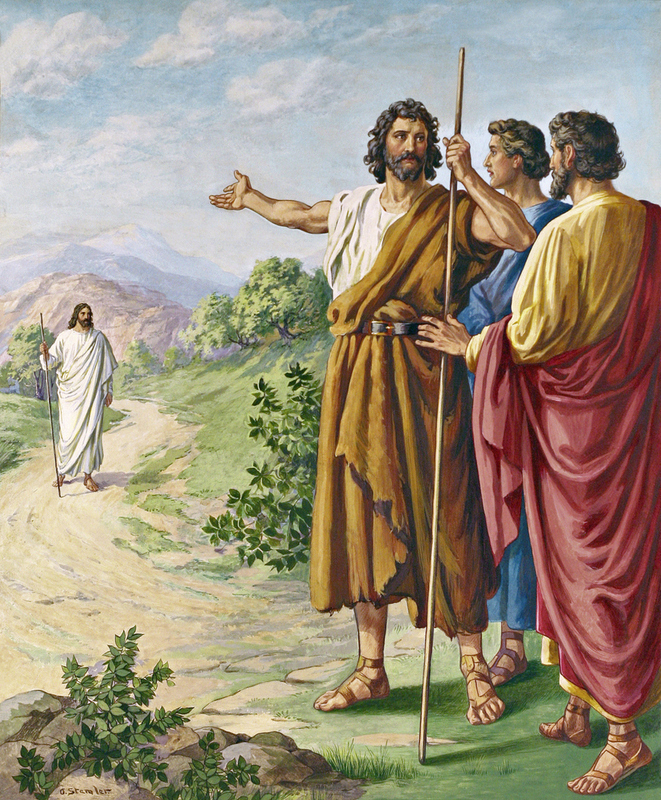 But the truth captured the most important hearts of all, Andrew and John, who immediately found their brothers, Peter and James, told their fishing buddies, Philip, Nathanael, and Thomas about Jesus the Messiah, and in so doing they set in motion a chain reaction of disciple-making begun by John the Baptizer which continues down to this very day. So let’s not stop it. Let’s keep the momentum going until everyone we love comes to know Him. Amen!